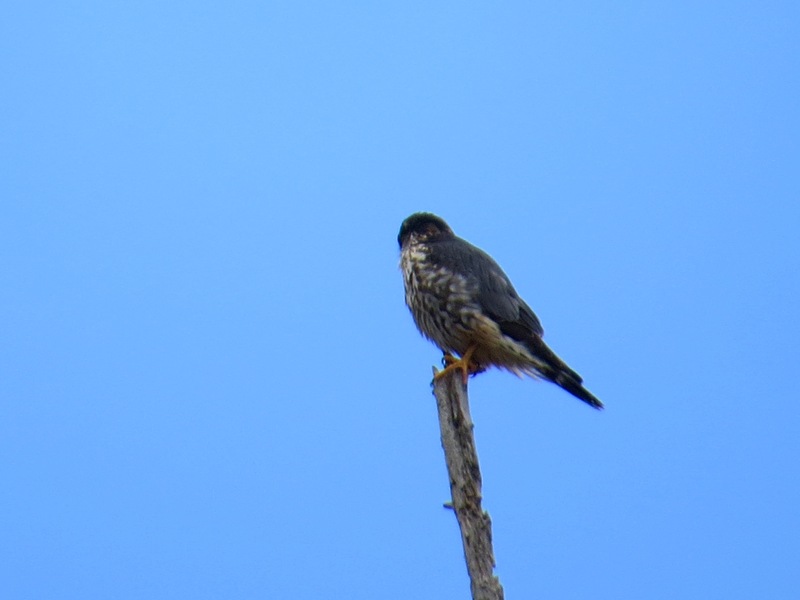 Merlins (Falco columbarius) like the high points. 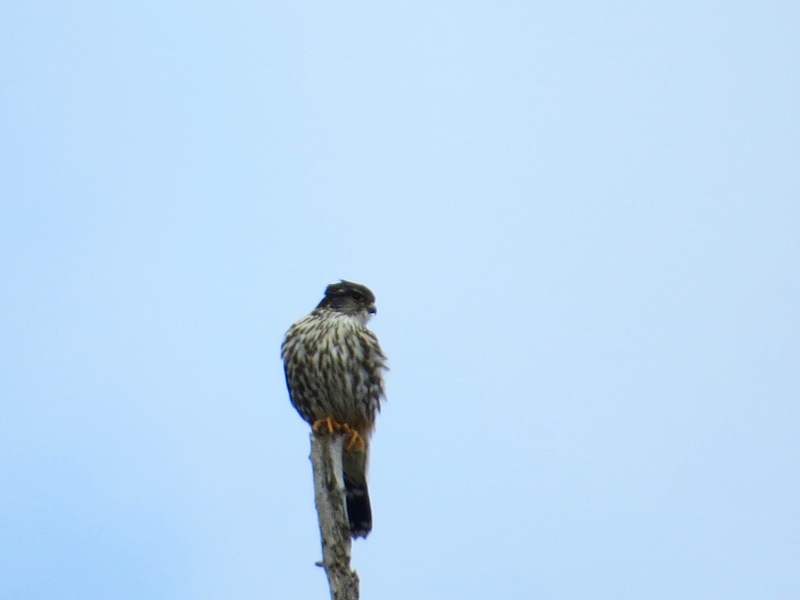 Where they will sometimes perch for quite a while on the look-out for birds to pursue. 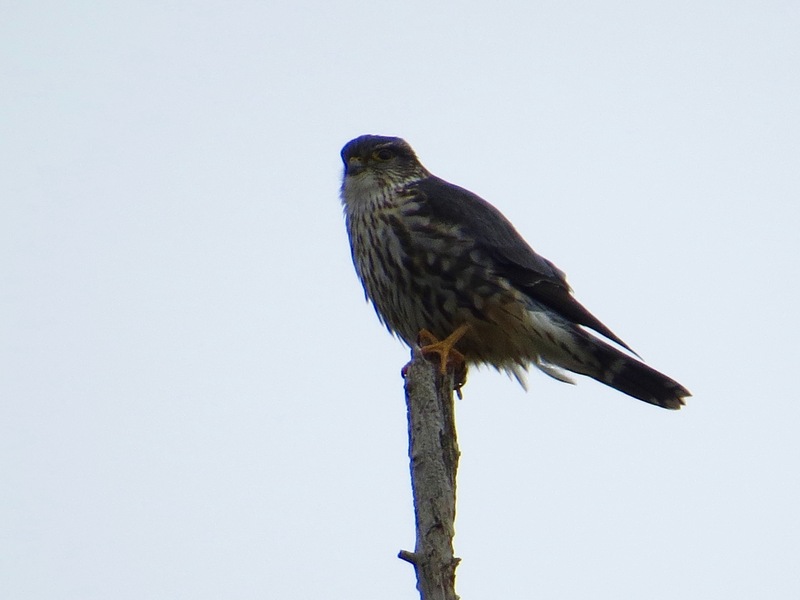 Slightly larger than American Kestrels, Merlins are much rarer in the city.